Handbags + Handguns: What you got in that bag? What you got in that bag? If I'm being completely honest with you, I carry big handbags because they hold a lot of crap. I have my daily essentials, not to mention all the things my kids throw in there. Mom, I don't want to wear this headband anymore. You hold it. I can't find a trash can. Will you just put this in your purse? Yes, that's right. My handbag is often used as a trash can. I guess it is better than the alternative. No one likes a litter bug. 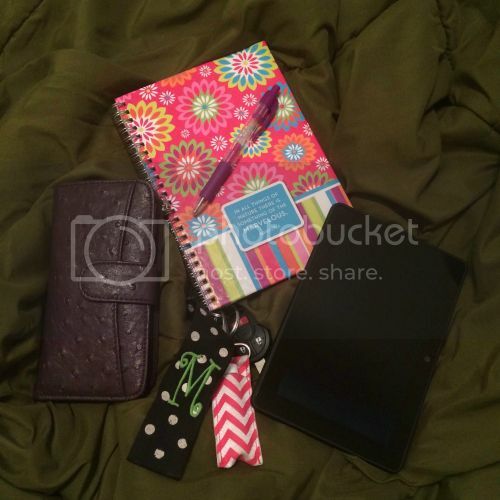 Let's talk about what's actually in my purse most days. There's the obvious wallet and keys. I always have a notebook and pen. Even though I use my iPhone for a lot of things, I always jot down ideas for blog posts by hand. I typically keep my Kindle with me in case I'm stuck somewhere with time to read. 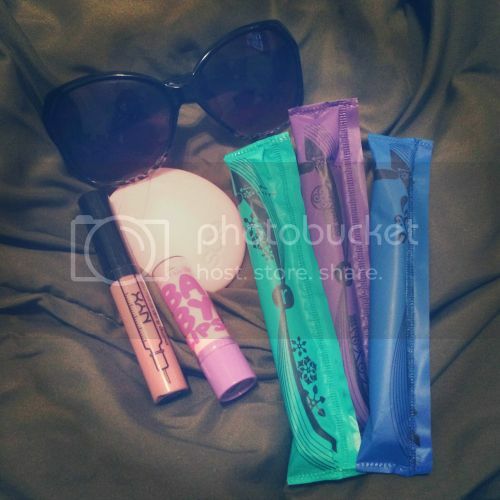 And I've got my sunglasses, lip gloss and hand lotion. We'll skip over the loose change, gum wrappers, receipts, random sticky notes, and pill bottles taking up much needed space. And, no matter what day of the month it is, I always have tampons in my purse. Always. Always. Always. As a girl who has suffered from endometriosis and heavy periods for years, I refuse to find myself in a compromising situation without a tampon. There's nothing worse than your period hitting and having to make a homemade pad out of toilet paper until you can either get to the store or borrow one from a stranger. And, even worse than that, I've had to sneak walk out of a room because I had the dreaded red stuff on my pants. The horror! One thing that's improved over the years is the packaging for tampons and pads. When I was in high school, I can remember my guy friends going through my purse in study hall. They'd reach straight for the tampons and start waving them around. There was no use trying to hide what they were. These days, the packaging is much more discreet. 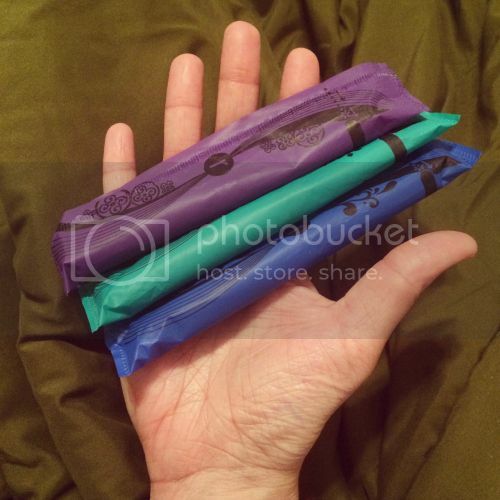 U by Kotex has done a great job of disguising their tampons in a variety of colors instead of the obvious pale pink we're all used to. If anyone goes through my purse now, they'd probably just skip right over the tampons. Really, it almost looks like candy could be in there. 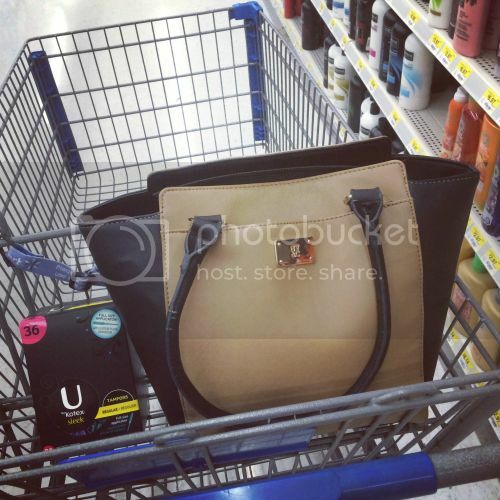 I picked up my U by Kotex at Walmart where the prices are low, and so can you! While supplies last, you will receive 3 bonus Goody hair elastics when you purchase U by Kotex Sleek tampons or Cleanwear pads in select Walmart stores. It's never fun buying tampons, but it's not so bad when they look this good and come with a free gift. Maybe one day they'll actually put candy in there. Or chocolate. Hey girl! I want to hear the details on the purse! Love it!! Is it TMI to say that's totally my brand? I didn't know there were free gifts involved. And why DON'T tampons come with chocolate? This is my brand too. Milo always thinks they are candy or a granola bar. Haha! Misty's back. Tell a friend.